When North Korea announced it had sentenced imprisoned American tour operator Kenneth Bae to 15 years hard labor earlier this month, it gave no details about his crime other than he had attempted to "overthrow" the North Korean government. But now North Korea has presented more details about Bae's crime: They say he smuggled anti-government propaganda into the country, and preached the overthrow of regime as part of a Christian missionary-backed plan called "Operation Jericho." The report from the Korean Central News Agency paints Bae, a devout Christian, as the leader of a plot to undermine the government called "Operation Jericho," according to a translation by NKnews.org. Operation Jericho was launched in 2006 by Youth With a Mission (YWAM), an international evangelical Christian organization Bae belonged to, according to KCNA. It consisted of mobilizing 250 of Bae's "followers" to infiltrate an area of North Korea near the border and create an "anti-government coalition." They would base their operation in a hotel. KCNA also says Bae smuggled in "propaganda materials." This included a copy of the National Geographic documentary "Don't Tell My Mother I'm In North Korea," in which the reporter Diego Bunuel visits North Korea, and a book about persecution in North korea, according to NKNews. How much of this is true? It's clear that Bae was a Christian minister with Youth With a Mission, and there's evidence to suggest he was using his tour agency, Nation Tours, as a front to sneak Christian missionaries into the country. NKNews dug up a video of a sermon in which Bae preached to a Korean congregation in the U.S., telling them that "I knew that Jesus wanted me to be a 'channel' to the North." Bae was dispatched to China by YWAM, and the tour operation was likely a front for some kind of missionary work. In a 2011 note to a Korean church in St. Louis he wrote: "We plan to open up a new base from which mobilization and missionary works for North Korea can all be carried out from one location." However, simply leading trips of missionaries into North Korea would probably not be enough to get Bae such a harsh punishment. The practice of Christianity is virtually banned in North Korea, but there is a community of foreign evangelical Christians living there—many of them run aid organizations. But they have to keep their religion quiet: they're not allowed to distribute Bibles or other material, or even visibly pray, one missionary told Foreign Policy. They instead must attempt to lead North Koreans to God by subtle example. There are, however, Christian groups with more explicit anti-regime goals. 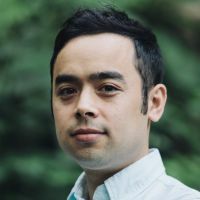 One is the Voice of the Martyrs, which stages guerilla evangelizing by sending balloons with religious material, sending radio broadcasts of bible readings over the border, and connecting with underground Churches through contacts in the country. Todd Nettleton, the director of media development for the group, told me that his group's work directly attacks the government. "The deification of Kim Jong Un and Kim Jong Il, their political system is built on that idea," he said. "A new religion coming in is not just a religion—it literally undermines the very foundation of the government. North Koreans who accept Christ aren't just accepting a religion, they're committing a treasonous act." This fact is born out by the history of proselytizers being arrested in North Korea. 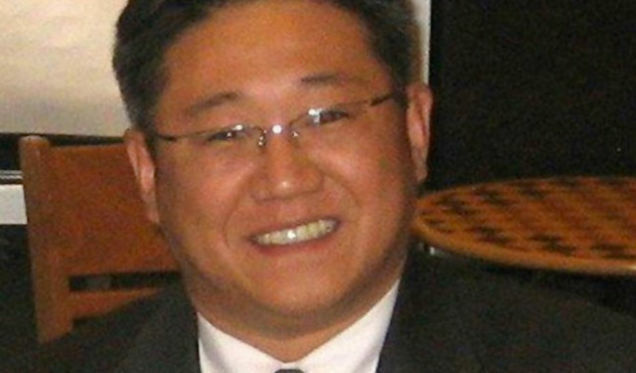 The Korean-American minister Robert Park was imprisoned in 2009 when he illegally crossed into North Korea to proest human rights abuses, for example. He was released after a few months in prison. We don't know yet if Kenneth Bae will be so lucky.